Home Designer Collection One Year Old! Toss the confetti and pop the champagne! The Home Designer Collection marks its first anniversary this month --- and what a year it's been! 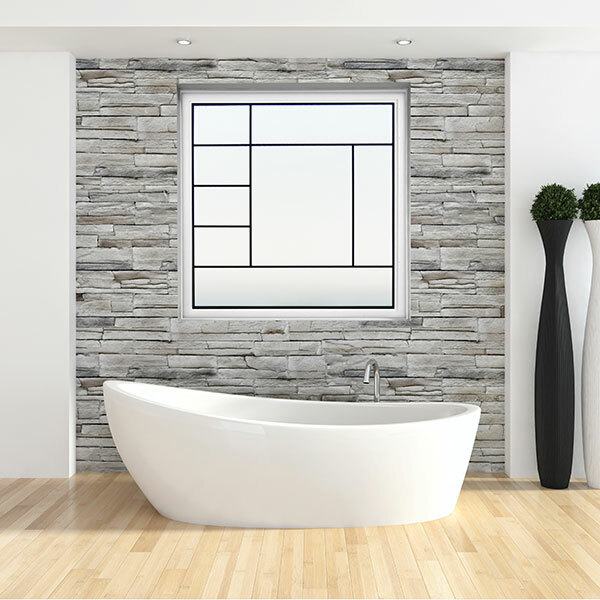 "As soon as we launched this line of decorative glass windows, the Baroque style started selling quickly," says Roger Murphy, president of Hy-Lite, a U.S. Block Windows Company. "People were immediately taken by the dramatic, show-stopping design inspired by classic and modern tile. It's almost like the marketplace had been waiting for this window to appear!" The four unique privacy windows in the collection --- Metro, Mission, Prairie and Baroque --- have all found popularity in markets across the U.S. The vinyl-framed windows feature silk-screened designs with textured privacy glass on the exterior. "The style of these windows is transitional, which ties in perfectly to the architectural styles of our homes," says Erin Riley, design director for Westin Homes in Texas. "These privacy windows appeal to a very broad audience and help buyers customize their homes to set themselves apart in a neighborhood. "Baroque is our most popular choice by homebuyers. The simple elegance of the Prairie style comes in as a close second. The Metro style was inspired by modern architecture and features a bold three-dimensional design. All of the windows feature silkscreened tempered privacy glass with clear lines to create memorable designs, while textured exterior privacy glass provides seclusion. "Most homeowners are shocked that windows with this much style are available for such a reasonable price. The windows are an outrageous deal."